Welcome to the Littleton Middle School Drama web site! 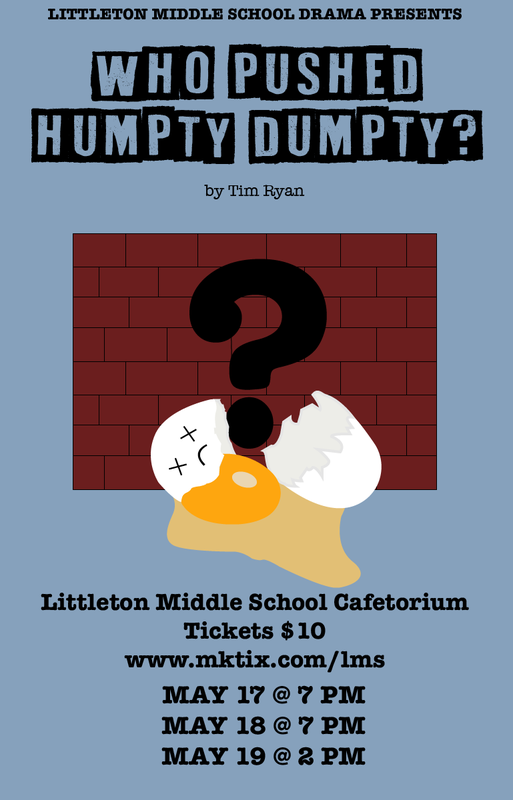 The Spring play will be “Who Pushed Humpty Dumpty?” – see the announcement for details. 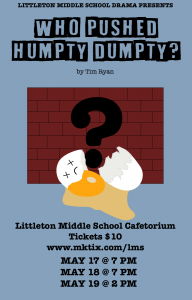 “Who Pushed Humpty Dumpty?” – May 17th and 18th at 7pm , and May 19th at 2pm at Littleton Middle School Cafetorium. November 22nd, 2018 Important Note: THURSDAY, NOVEMBER 29th rehearsal!